Hi! On this site you can find PDF owners and repair manuals for such Foton cars and trucks as: Foton Gratour-ix, Gratour-t, Gratour-V, Tunland, Toano, VIEW CS2/C2, View C1, Foton Auman 3/5/CTX/ETX/H2, Foton Auman 6/9/CTX/ETX/H2, Foton Aumark BJ1051/1061, Foton Ollin. Chinese automaker Foton (Beiqi Foton Motor Co., Ltd.) - a relatively young brand. The company was founded August 28, 1996. It was originally a state-owned company with a holding structure. It contains various types of property, and the company's shares are traded on the stock exchange. 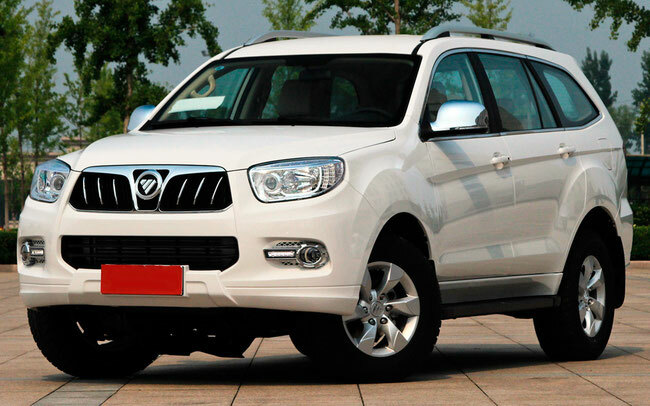 The company Beiqi Foton Motor Co., Ltd. It carries out its activities in different regions and sectors of the economy. The headquarters is located in the town of Foton Chang Ping, Beijing. The first platform is designed for commercial vehicles. The second platform is designed to provide a better strategic management and improvement of the production process. And finally, the third platform of the brand and technological innovation. In 2001, Beiqi Foton Motor Co., Ltd. Develop strategies, according to which it will be developed, including the overall operational strategy designed for all series of commercial road transport. A year later carried out serious investments in the business in the amount of 1 billion yuan. These funds were mainly on the creation and development of a new production base for heavy-duty truck lineup Auman. Production capacity of this built in Beijing's Huairou district. In 2003, the "Foton Motor" making a major bet on the first Beijing Machine-Building Plant. It allows you to confidently enter the market of tourist coaches, medium and large tonnage. In the same year we completed the construction of production facilities for the purpose of commercial vehicles. Creates and implements corporate identity and symbolism Foton brand. In 2004 it extends the basic idea according to which Foton is to take a sample of General Motors Corporation management strategy, and also strive to adopt the best aspects of operations management at the company Toyota. This year is also the year of the official launch of a new hotline service support in the processing center of the company's calls. There millionth car brand release "Photon". Officially goes on sale a new development of the company: tourist bus intercity utility model Foton Auv. In 2005, the Chinese TV channel conducts the presentation of "My favorite Chinese brand" award, and the company Foton awarded this honorary title as the best manufacturer of commercial vehicles. Meanwhile, Foton Auv model bus receives a special award: the award BAAV 2005 he gets to "Asian Week Buses» (Asian Coach Week). At the Beijing International Exhibition of commercial and special vehicles, held in 2005, of Foton gets another award - "Best manufacturer of commercial vehicles." By the end of 2005, the company "Foton" reaches the value of 11, 932 billion yuan, which means fourth among Chinese automakers. Mark is actively entering the South Asian market, has started to deliver CKD kits (completely disassembled) in Pakistan, which was chosen as the center, as well as in the CIS market, supplying to car sets of SKD (products unassembled). The company develops and African market by creating their base in Algeria. In the countries of the Persian Gulf appears representative of the brand in Kuwait. Since the beginning of 2006 Foton enters the third phase of its development and has set itself new challenges. According to the chosen course, of Foton company begins to actively improve the quality of their products, and in addition, the priority of the task list appears the desire to reduce production costs and increase globalization. In 2008. and in 2009. 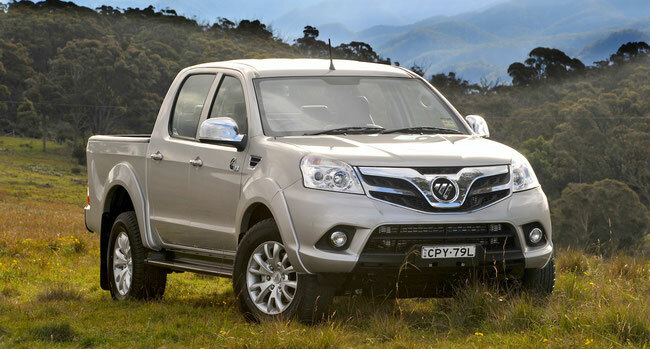 Foton became the leader in sales of trucks and commercial vehicles in China. Today Foton company is actively developing its own independent intellectual property rights and the independence of its brand. Beiqi Foton Motor Co., Ltd. It seeks to build international relations and the promotion of its products. The principles on which to rely in Beiqi Foton Motor Co., Ltd., is a quality, low cost, and globalization. Foton Motor revenues grew by 19.3% in 2010. and amounted to 53.4 billion yuan. This contributed to their increasing growth. Foton Motor Company has sold 682,895 vehicles, up 13.4% compared with the previous year, making it the first manufacturer of commercial vehicles. Today, of course, the Chinese trucks - the most popular in the world of commercial vehicles. However, their growth was still lower than the average in the trucking industry. Last year, it sold 4,304,100 trucks, up 29.9%.